Who is on your Property? - Antenna Management Corp.
Who is on your Property? Most property owners have little idea of who is on your property for telecom purposes. Are they authorized? Trained? Licensed? Insured? Bonded? WCB registered? But property owners may be liable for safety and injuries. 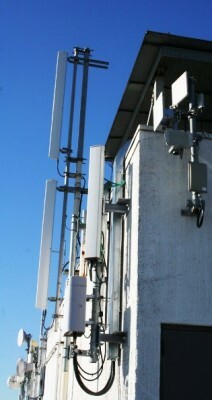 Owners with cell sites are often aware of activity. Concerns about safety, security, antennas and the number of people that come and go are common. Most owners have no idea who, why, when, where and what these visitors are doing. Many owners believe the cell providers are fully liable. Landlords believe they and their assets are safe. Injury claims, legal costs, class actions, RF safety and hazardous spills can and usually do involve landlords being named. As cell services grow, CISCO estimates 42% to 2020 – AMC is seeing huge growth in capacity and radiated power. Owners do not get Safety Code 6 reports – a liability. Some property owner will likely be named in RF injury class actions. Landlords need the protection of Safety Code 6 reports. What can property owners do to monitor access? Contact us. What can owners do to keep their site safe from litigation? Plenty – but sites must be managed for RF compliance. Contact us us about your site. RF injury Trolls are attracted to cell sites. With billions on the table it may be irresistible. Class actions are easy to initiate but costly to defend. Trolls look for early payouts just like RF patent Trolls. RF injury claims may not require proof of injury just proximity to the cell site. The property owner needs to prove the site is RF safe. Get your site RF certified safe – it is your right. 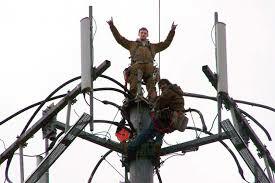 This entry was posted in cell antenna safety, Cell Towers, Safety Code 6. Bookmark the permalink.